The health benefits of sunscreen have been proven again and again. Unfortunately, less than 30 percent of women and 15 percent of men use sunscreen on exposed skin regularly while outdoors. 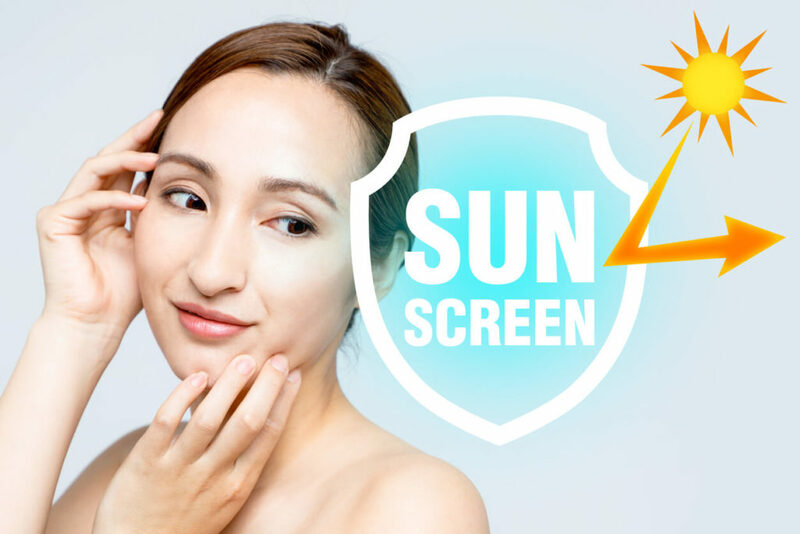 While you probably know that sunscreen helps protect the skin from sunburn and other harmful effects of the sun, it is also important for the beauty of your skin. Exposure to UV rays can cause premature aging which is evident by leathery skin and wrinkles. Here are just a few interesting facts you might not have known about sunscreen. You might have heard that darker skin tones don’t really need sunscreen. This is a common misconception. Studies have shown that even the darkest-toned skin can still develop sunburn, skin cancer, and accelerated skin aging. Just because it’s cloudy and rainy doesn’t mean you don’t need to use sunscreen as UV rays are still present even when it’s not sunny. Whether it’s cloudy, rainy, snowy, or clear, sunscreen is needed to protect your skin from harmful UV rays. While there are countless sunscreen products on the market, not all protect your skin from the sun. Many sunscreens only protect against UVB rays, not UVA rays. While UVB rays penetrate the top layer of skin which can cause burns, UVA rays go even deeper to damage your DNA and contribute to premature aging such as wrinkles and pigmentation. While sunscreen can certainly be sweat- and water-resistant, there is no sunscreen product currently on the market that is completely ‘sweatproof’ and ‘waterproof’. That means no matter what type of sunscreen you use, you will need to re-apply it at least every 2 hours to keep your skin protected. Most people wait until they are heading out the door before slathering on sunscreen. Ideally, you want to apply sunscreen about 30 minutes before going outdoors. This allows the UV-blocking ingredients in the product to fully absorb into your skin. Don’t be stingy when it comes to your sunscreen. Most people do not put enough on which can put your skin at risk. Most professionals recommend applying at least one ounce of sunscreen over the face, neck, arms, and legs of the average adult. As most people only use sunscreen in the summer, you may find yourself reaching for the same bottle year after year. Know that most sunscreens are only effective for up to three years before the ingredients become ineffective. Always check the expiration date on your sunscreen and don’t use it past that date. Clear Defense SPF 45 with Broad Spectrum. This lightweight formula contains a blend of powerful actives that protect the skin from UVA, UVB, infrared radiation, and premature aging. Sheer Defense Tinted SPF 46 with Broad-Spectrum. This antioxidant-rich formula is oil-free and contains skin soothing properties. It is also tinted to match most skin types. Before going out in the sun, learn some important facts about sunscreen. With proper sunscreen use, you can keep your skin healthy and looking its best. To find out more about the products listed, please visit this page.